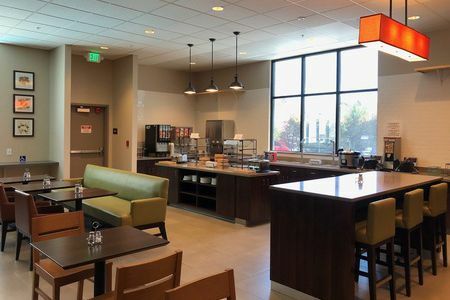 The Country Inn & Suites® by Radisson, San Jose International Airport, CA is a smart choice for business travelers seeking proximity to the SJC airport. 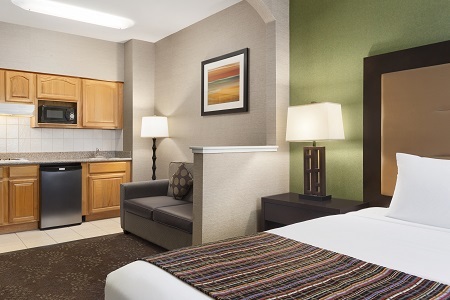 Our hotel is just three miles from the business expos and trade shows at the San Jose McEnery Convention Center and two blocks from the city’s VTA light rail, which offers quick access to the SAP Center for NHL hockey or Levi’s Stadium for a 49ers game. Free Shuttle to the SJC Airport, Running 4:30 a.m. - 11:00 p.m. Outdoor Pool and Hot Tub, Open 7:00 a.m. - 9:30 p.m. 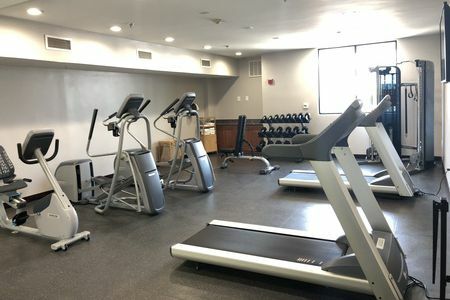 Fitness Center, Open 5:30 a.m. - 11:00 p.m.
To prepare you for morning meetings or sightseeing excursions, we offer a complimentary, hot breakfast. You can dig into a quick, packed-with-power yogurt parfait, or opt for a classic combination of eggs, bacon and toast. In a hurry? Grab a coffee and a piece of fruit to go. For lunch and dinner, choose from several nearby restaurants, all conveniently located within one mile of the hotel. Walk to 7 Bamboo Lounge for happy-hour specials or to La Victoria Taqueria for Mexican favorites. 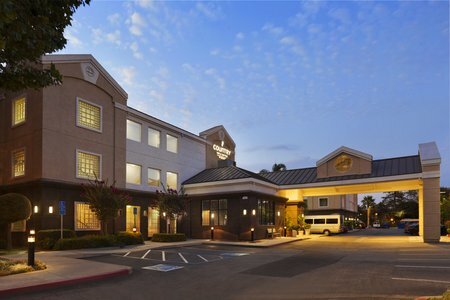 Casino M8trix – At the Country Inn & Suites, you’re just a mile away from Silicon Valley’s premier entertainment venue. This gaming and dining destination offers adult merriment 24 hours a day, with 49 card tables and four upmarket restaurants. San Jose McEnery Convention Center – This modern facility sits three miles from the hotel in downtown San Jose. After your meeting or exhibition, walk to the nearest light rail or shuttle station to see even more exciting attractions. SAP Center – We offer NHL fans the perfect place to stay only three miles from the home of the San Jose Sharks and Barracudas. The SAP Center also hosts concerts and other popular events. 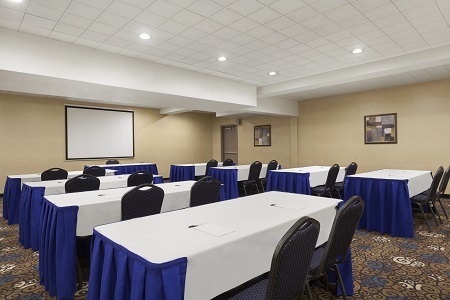 For a convenient meeting space just two miles from the SJC airport, reserve our California Room. This venue accommodates a variety of setups to comfortably host up to 40 guests. We also offer audiovisual equipment and flexible catering options to ensure your event unfolds with ease. *With the exception of military personnel (ID required), guests must be 21 years or older to check in.